The Wyoming Air National Guard's 153rd Airlift Wing briefly welcomed home the Air Force's first fully-upgraded C-130H, Saturday. This aircraft is the first C-130H to receive extensive upgrades allowing the Air National Guard to remain competitive with the C-130J found primarily at active-duty wings. aiming to make the legacy aircraft more efficient. propeller controlled system; and equipping the aircraft with Rolls-Royce T56 series 3.5 engines. "We are very excited to be getting the NP2000 props, the electronic propeller control system, and the 3.5 series engine upgrades," said Maj.
needed to ensure longevity and mission flexibility." its involvement in the initial testing with the EPCS and NP2000 back in 2008, when the Air Force was first exploring the idea of upgrading the H-model. the H-model. 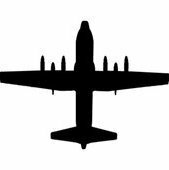 Additionally, they will allow Air National Guard units to cut costs by not having to upgrade to its successor, the C-130J. lethality of the United States Air Force," said Col. Justin Walrath, 153rd Airlift Wing commander. of 153rd's fleet and C-130Hs across the Air Force are upgraded.